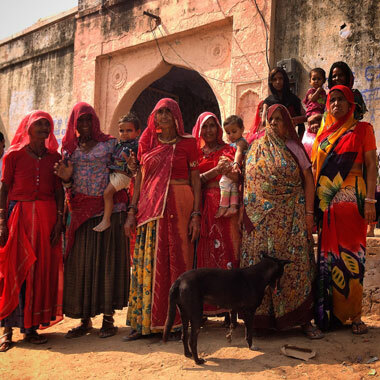 We have just returned with full hearts from a very exciting and meaningful October 2014 Pushkar Relief Ride. Our new itinerary which surpassed all expectations and hopes - breathtaking landscapes, and great footing allowing us long slow paced canters everyday. Our Sanitation project for the school in Hirasar provided a new well and bathrooms, it was a great success. The next newsletter will include more information and a new video from the ride. I wanted to take this opportunity to announce to all of you that we are excited to set our sights on our February 2015 Nagaur Relief Ride. 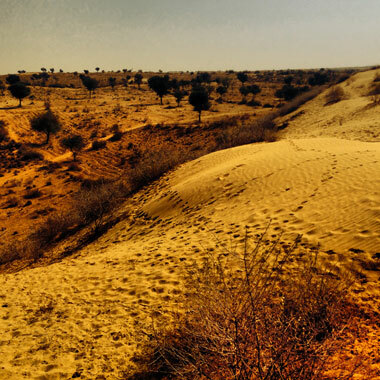 It's an exciting new itinerary that will have us ride deeper into the Thar Desert than ever before. 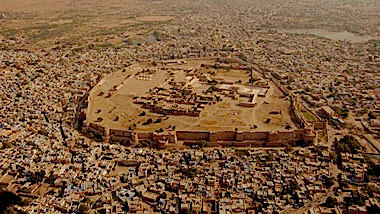 Pokran Fort, the departure point of the ride, located halfway between Jaiselmer and Bikaner, is a 14th century Citadel built on the crossroads of The Silk Road. Surrounded by five desert salt flats, Pokaran Fort gave Silk Road traders and pilgrims refuge from the desert. Great Mogul emperors such as Humayun, Akbar (his grandson), and Aurangzeb, regularly traveled this region whether attending festivities or to plan war strategies, en route from Bikaner to Jaiselmer. Our February 2015 Nagaur Relief Ride gives us the opportunity to ride on centuries old camel and horse routes used by traders traveling from or to Central Asia from the coasts of Gujarat. 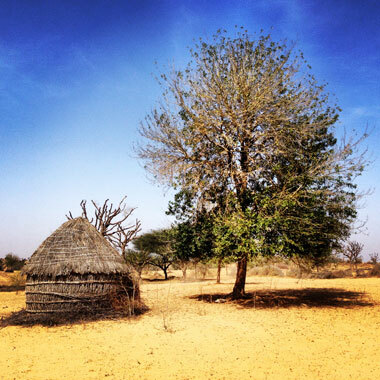 These stunning and remote landscapes have been inhabited by the Bishnois, a vegan and animal loving tribe, whose strict no hunting laws, over centuries has created a beautiful anomaly, in which all animals roam fearlessly in the desert. Chinkaras (miniature Gazelles), Black Buck, Desert Foxes, Blue Bulls, Wild Boars, and host of eclectically colored birds are some of the animals that are regularly sighted from horseback. As a veteran rider through the Bishnoi region, I am still delighted by the fearlessness and close proximity of the wildlife while on the ride or in our camps. 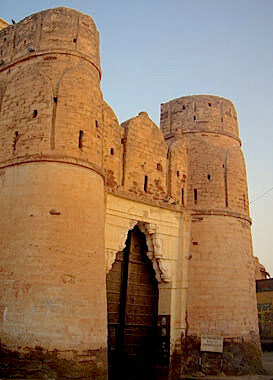 Our Relief Ride will take us all the way to Nagaur Fort, also known Ahicchatragarh Fort, or fort of the Hooded Cobra. Built in the early 1100's and repeatedly altered by each conqueror over subsequent centuries, is one of the finest examples of Rajput-Mughal architecture. Most importantly, we'll roll up our sleeves and give back to the very communities we are visiting- an experience which has proven time and again to be life changing for everyone involved. There are still spaces available on our upcoming February 2015 Nagaur Relief Ride. We hope you will consider joining us on what promises to be a very exciting and meaningful experience. We hope you will consider joining us on this magnificent ride. "Someday, after mastering the winds, the waves, the tides and gravity, we shall harness for the universe the energies of love, and then, for a second time in the history of the world, man will have discovered fire." 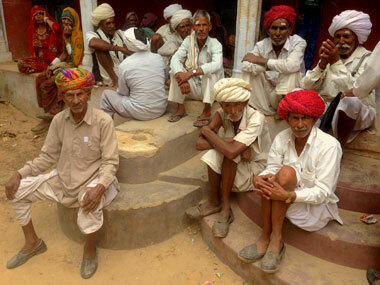 Male patients at our Free Eye and Dental Camp in Riid, Rajasthan, who are waiting to taken to Ajmer for their free cataract surgeries.